Marmot first took a trip to the coast last year with our Brighton event, we’ve been very keen to do another ever since and we’re extremely pleased to announce two nights in probably our favourite British seaside town, Margate. Anyone who knows Margate will know why we love it, from Turner’s dramatic horizons to Dreamland, vintage shops and a buzzing art scene there’s a lot going on. This is an intimate event with one of our favourite chefs, Karl Doering (Gordon Ramsey/St John) at the helm. The Kentish fields and coast are bursting with amazing flavours so the food will be fab and the venue is great. Perfect for anyone in Thanet but also a great and easy trip from London & elsewhere on the high speed rail, couple of accommodation suggestions if you fancy that below. Karl Doering’s CV includes time spent with Gordon Ramsey in his Michelin starred restaurant at Claridges, St John and Mayfields where his food was described by The Guardian’s Jay Rayner as, “a brilliant display of intelligent cooking”. Karl and the Marmot team are already working on a menu that brings together influences from the British seaside past and present as well as showcasing the best winter produce from the seashore and across Kent. As always the drinks list will be a carefully curated mix chosen to complement the food including cocktails from their team of London’s best bartenders, which share ingredients with the menu, wines from independent growers chosen with ex-Decanter editor Rosalind Cooper, craft beers and lovely soft drinks. 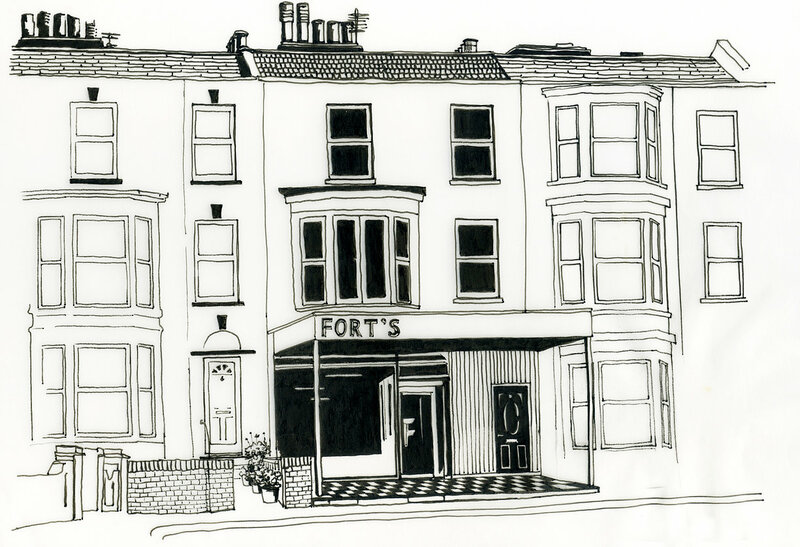 All of this will be served in Chateau Marmot’s friendly, informal style in Fort’s seaside café on the cliff, one of Margate’s best loved institutions in itself and the perfect cosy spot to watch the waves crashing in over Turner’s favourite stretch of coastline. Five courses £35. Drinks extra. Tickets are on sale now from http://chateaumarmot.co.uk.